Been off the blog for a while. And right off the patch. 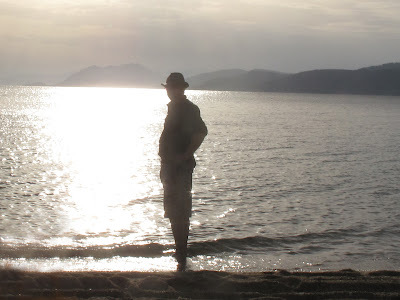 A week touring the North Sporades Islands in the gleaming Aegean recharged the batteries and warmed the bones before we start the autumnal slouch towards a Dee winter. It wasn't all relaxing on the beach and gluttony (I love Greek food! ), I did indulge in a spot of wildlife watching (not too much - it was a holiday after all!). Stars of the show were several Elanora's Falcons, an Adouin's Gull and a Yelkouan Shearwater. 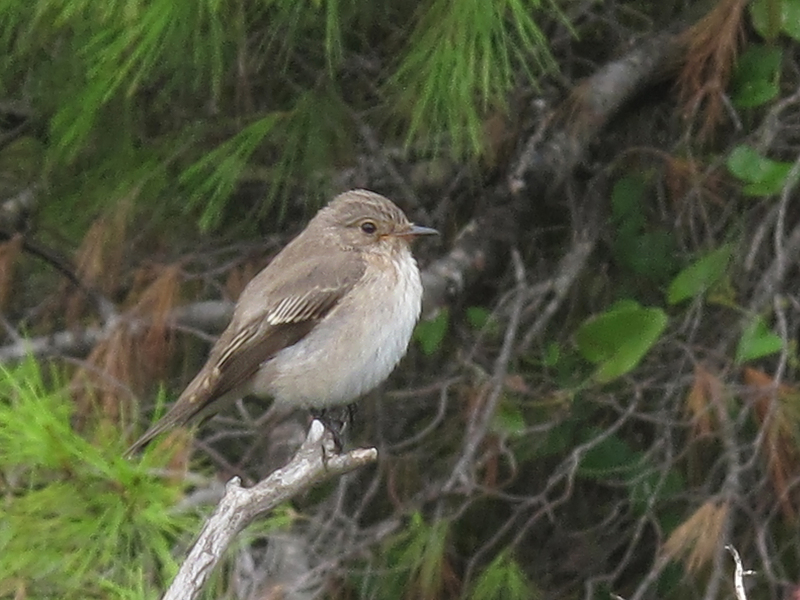 The commomest birds I came across as we pootled about between beaches and restaurants were Spotted Flycatcher. Several Phylloscopus warblers will remain just identified to genus, as I didn't take the binoculars or the dSLR and telephoto lens with me. All pictures were taken with my Canon G10. That made for little or no bird photography (apart from the above), but did allow for a few goes at the local butterflies and dragonflies. 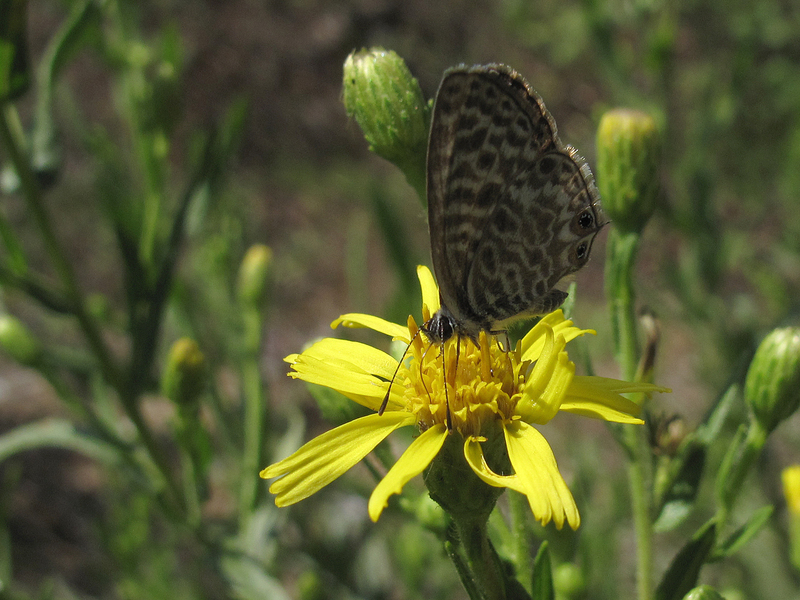 Lang's Short-tailed Blues were everywhere and lingered long enough on daisy heads to get a few frames. 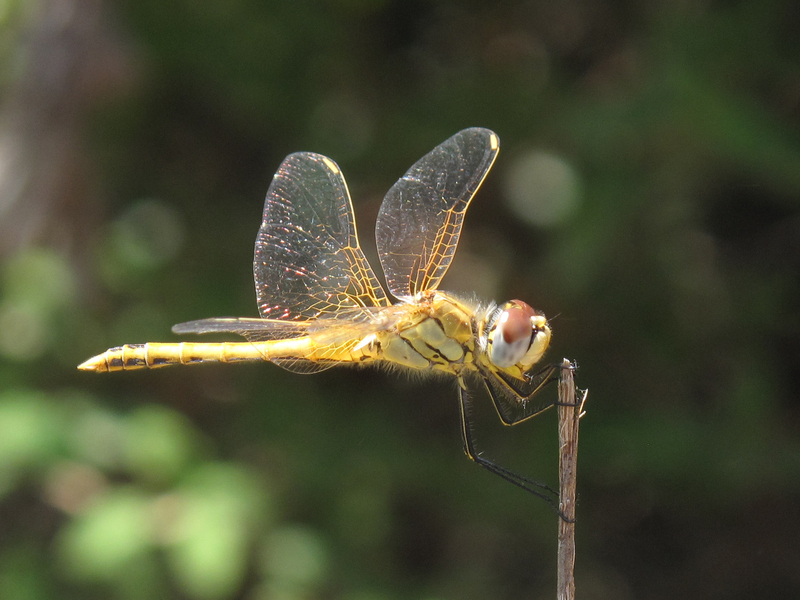 I managed to get close enough to a Red-veined Darter to get a couple of shots. You'll notice that the insect in the picture is not red and neither are the viens on it's wings. That's because it's a female. They, like most female darters, are yellow. It's a Red-veiened Darter because of the bottom half of it's eyes are lilac-blue. But it was the beaches and the towns and villages of Skiathos, Skopelos and Alonisos that made the week away special. I'd recommend a trip there!